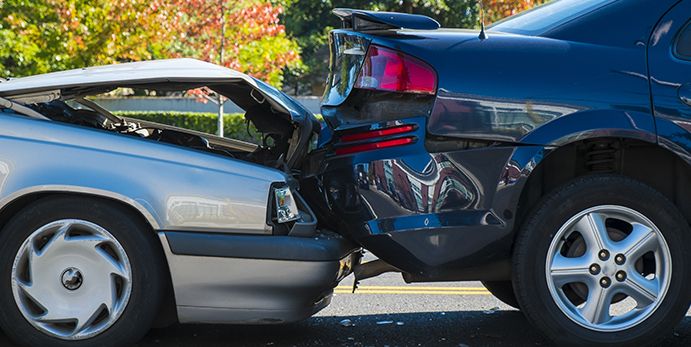 Approximately 10 million car accidents occur each year according to the United States Census Bureau. Check out this interactive traffic safety map from NHSTA to see specific stats for your state. Unfortunately, even the best drivers may wind up in an accident due to the fault of another driver. So it is wise for all drivers to know what steps they should take after a car accident. Consider the following key steps that shouldn't get overlooked. After you have been in an accident your immediate response will likely be to want to get out of the car. But, you need to think clearly about where you are getting out of the vehicle. Make sure you find a safe location away from heavy traffic. In some cases this may mean you need to drive a short distance and pull into a parking lot. If you are on a bridge it may be best to drive off the bridge before pulling over assuming your car is still driveable for this distance. A car accident is overwhelming and it is easy to become focused on what happened and who is at fault. Staying safe is a priority though, so don't overlook your surroundings. Be sure you are out of the way of traffic while you are communicating with the other driver about the incident. Before talking to the other driver about what happened, be sure to ask if anyone has any injuries. This includes checking your own body for injuries. Call for an ambulance immediately if either driver or any passengers are in need of medical help. Wait at the scene of the accident at least until the first responders have arrived. Remember that sometimes injuries aren't clear right away. If you find you have neck or back pain later on be sure to seek medical attention. Consider calling the police to file a police report. They will interview both drivers and any witnesses and provide you a report that details all the information. Many drivers find this helpful because hours after the accident they may not remember the specifics of what happened. The police may also provide citations at the scene of the accident if someone has broken the traffic law. When you communicate with the other driver be careful what you say. Avoid apologizing at this point. You do not want to take responsibility for the accident until you have had a chance to understand the circumstances. You don't want to make it sound like you are taking responsibility if you weren't responsible. Sometimes people want to say they are sorry to make the other party feel better, but you should avoid this line of discussion. Be sure to get the necessary information from the other driver. This includes the make and model of their car, their insurance information, and their license plate number. It is especially important for you to record this information if you will not be obtaining a police report. Also take notes about the car accident. Write down what you think happened and how it happened. Draw a picture of the roadway and any turns either vehicle was taking before the accident. Include details about the weather conditions and traffic level. This all will be helpful hours or days later when you are trying to remember what exactly happened. Photos are even better than notes for recording information about the accident. Take photos of the area where the accident occurred and of the damage on both vehicles. If you have injuries that will not need immediate treatment, such as bruises, take photos of those as well. It's important to take the appropriate steps after a car accident, should you find yourself in one. This will ensure you remain safe and that you have the information you will need to provide to your insurance company and the insurance company of the other driver.